In 1950, Otto Diels and his student Kurt Alder were awarded the Nobel Prize for Chemistry. Diels spent almost his entire academic career at the Institute of Chemistry at Kiel. There is little in Kiel Chemistry that does not remind us of the long-term director of the institute, Professor Otto Diels. "The institute was bombed during the war. Diels' possessions were probably mostly destroyed", reports Professor Ulrich Lüning of the Institute for Organic Chemistry. However, in one sense the legacy of the famous chemist is still upheld: through the experimental lecture in organic chemistry. "350 people in the lecture hall, the professor and assistant are at the front demonstrating experiments. Experimental science was clearly important to Otto Diels", says Lüning. "The first thing he did when he arrived at Kiel was to build up the collections for the experimental lecture. We are therefore still following the Diels tradition today and I would also like to continue in this vein." Diels was appointed as full professor and Director of the Institute of Chemistry at Kiel in 1916. Prior to this, the Hamburger by birth had worked at the Institute of Chemistry at Berlin for 17 years. This is also where he completed his studies. His mentor was the carbohydrate chemist, Emil Fischer, who was awarded the Nobel Prize for Chemistry in 1902. Diels conducted his doctoral and post-doctoral research at Fischer's institute. In 1913, he was appointed Head of the Department at the University of Berlin. Lüning: "Diels was in a position to turn down an offer of an appointment to Breslau before he moved to Kiel. He then remained here in Kiel for the rest of his life." His start at Kiel was difficult as it was in the middle of the War and he had only very few colleagues and students, as most of them had been signed up. He remained at CAU (Christian-Albrechts-Universität zu Kiel) until his retirement in 1944. On the request of the university in 1946, he took on the task of rebuilding the destroyed Institute of Chemistry and then retired once more in 1948. His research was highly diverse. He laid the foundations for a new direction of chemical research, the so-called keten chemistry. Furthermore, he participated in elucidating the structure of certain chemical compounds, the steroids, which also include cholesterol. He became famous with the discovery of a general principle in chemical reactions, which was later named after him and his student Kurt Alder as the Diels-Alder reaction. Alder, who studied chemistry at Berlin and Kiel, completed his PhD under Diels' supervision and demonstrated his supervisor's theoretical considerations in his thesis. This research was published in 1928. In 1950, the two scientists were awarded the Nobel Prize for this work. 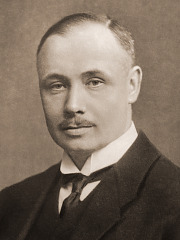 Alder was by then Professor of Experimental Chemistry at the University of Cologne, after he had left Kiel in 1936 and directed the IG-Farben research laboratories in Leverkusen until 1940. According to Lüning, it is striking that Diels spent his entire active career at Kiel. "The important research was done here. Every university basks in the glory of Nobel Laureates. However, in most cases they remained only for two or three years. Diels was completely different." The far-reaching relevance of the Diels-Alder reaction was not immediately grasped either by Diels or by the scientific community as a whole. The breadth of its application was only later recognised. Many compounds can be synthesised under normal conditions using the Diels-Alder reaction. "This discovery might well have been honoured with the Nobel Prize at an earlier point in time, had the War not been going on. Homage was not to be paid to Nazi Germany in such a manner", comments Lüning. In Kiel, the Dielsweg and a memorial plaque at 2, Brunswiker Strasse, where the old Institute of Chemistry once was, recall the great chemist. In addition, once a year, the Chemistry department awards the Otto Diels Prize for the best first degrees in chemistry of that year. Both good marks and short study duration are considered in the prize award. Every chemist is familiar with Otto Diels or at least with the Diels-Alder reaction named after him and his student. In this chemical reaction, unsaturated compounds with a double bond and two carbon atoms (dienophiles) bind to compounds with two double bonds and four carbon atoms (dienes). This produces a cyclohexene. "Diels recognised that a general principle underlies this reaction and that this type of reaction can be conducted with many different dienes and dienophiles. He named it diene synthesis", states Professor Ulrich Lüning. This permits the production of many compounds, for example, perfumes, insecticides and components of drugs like cortisone. However, Diels was not only a diligent and successful research scientist, he also cared greatly about teaching. He thus wrote more than 170 books and scientific essays. His text book "Einführung in die organische Chemie" (Introduction to Organic Chemistry), published for the first time in 1907, ran to 15 editions. It was the standard text for all students of chemistry in its time.